Cumberland Island is the largest barrier island off the coast of Georgia and is only accessible by ferry or private boat. When you arrive on the island there are no paved roads or trails and no vehicle’s except those used by the NPS. The only way to get around is to walk and the only way to spend the night is camping. I’m not big on camping anymore but I knew it would be the only way to photograph the island at sunrise and sunset. The first trip I only camped one night and it went so well the next trip I camped three nights. The island was owned by the Carnagie family until 1972 when it became a National Seashore. The Carnagie’s built a 59 room mansion called Dungeness. 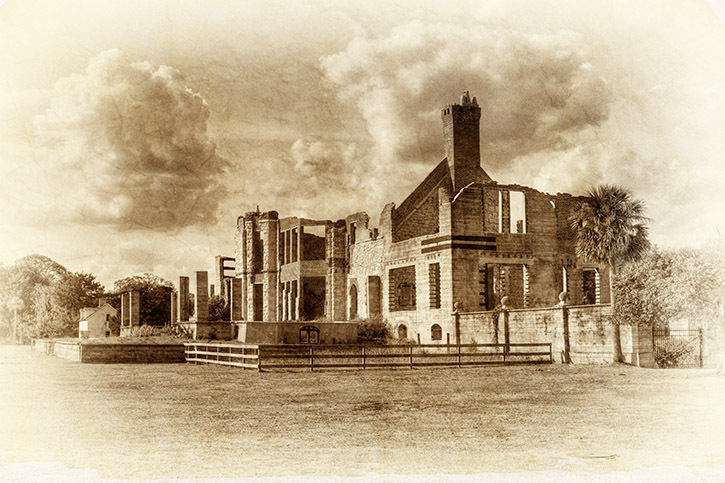 It burned in 1959 but the ruins still stand. 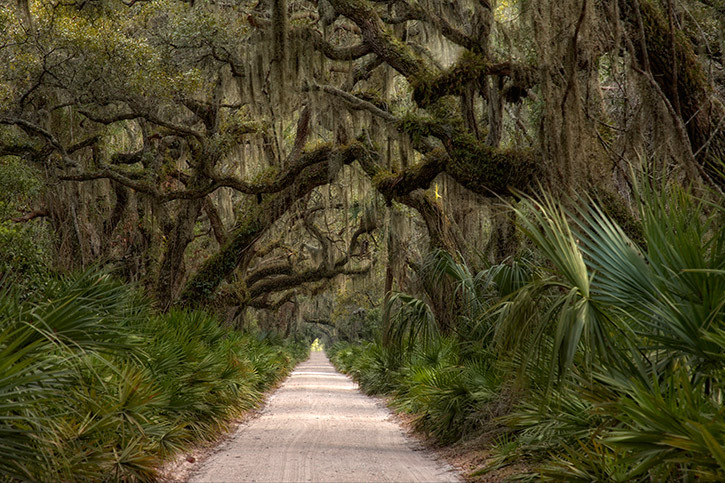 The main road through the island is called Grand Avenue and is canopied with live oak trees and spanish moss. Breathtaking. The island is also known for the wild horses that live there. They roam the island freely and sometimes you can see them on the beach and in the ocean. This was my motivation for the camping trip. The camping ended up being fun and the photography was worth sleeping on the ground and I would do it again in a heartbeat. 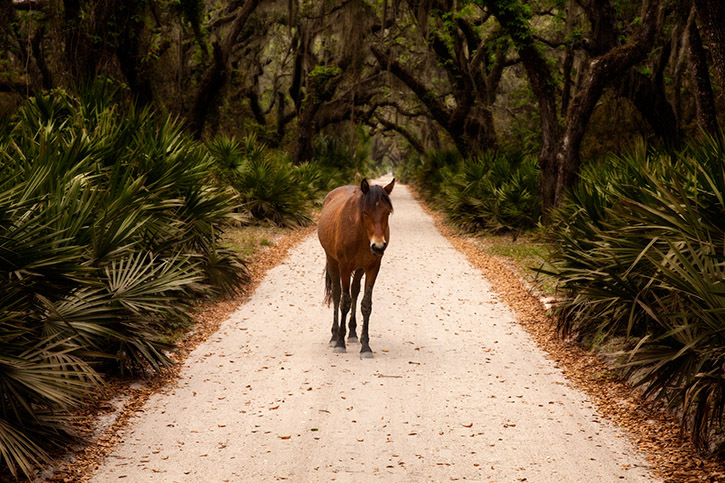 These are some of my favorite photos of Cumberland Island. 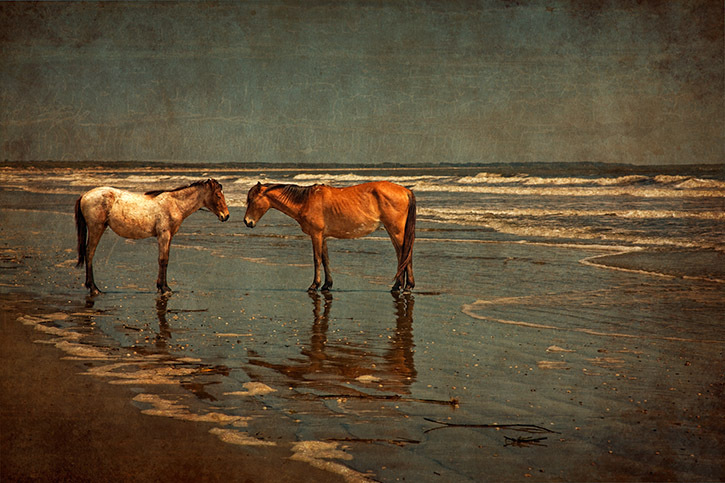 This entry was posted in Renee Lowery, Uncategorized and tagged Cumberland Island, Dungeness, Georgia, Grand Avenue, photographs of Cumberland Island, Renee Lowery Photography, wild horses on beach, wild horses on Cumberland Island on February 14, 2014 by rlowery711.